It's summer and many of us are making that great escape to the beach on an island somewhere. Not all islands though need to be a destination to show off bikinis and six-pack abs. In New York City, there's an island getting its dose of visitors - both locals and tourists - looking for some other form of fun and activity. No, it's not the Statue of Liberty and the Ellis Island though both are more popular destination islands in New York. I'm talking about Governor's Island, a former military outpost and a National Historic Landmark filled with 18th century fortifications. Since the U.S. government transferred ownership of the island back to the city, this 172-acre piece of real estate just off the southern tip of Manhattan is abuzz with people and events. 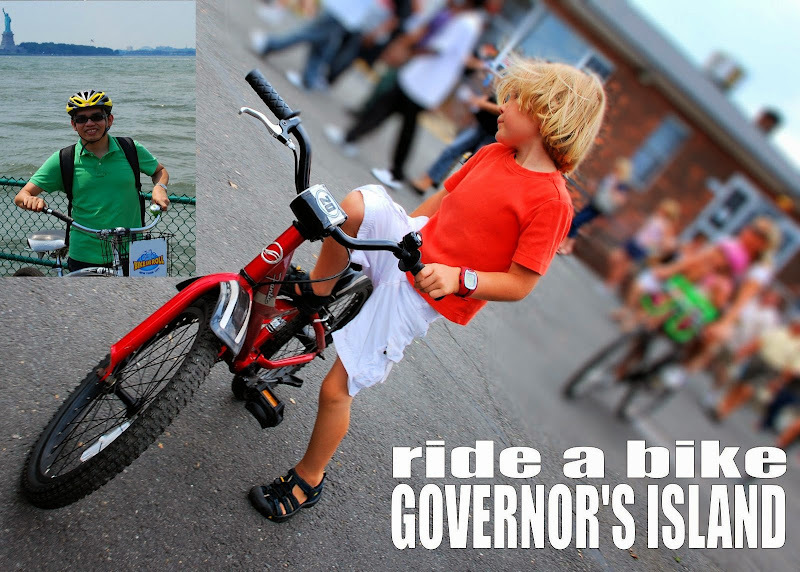 For this season, 22 acres of the Governor's Island National Monument is open to the public until October 12. What's in store? 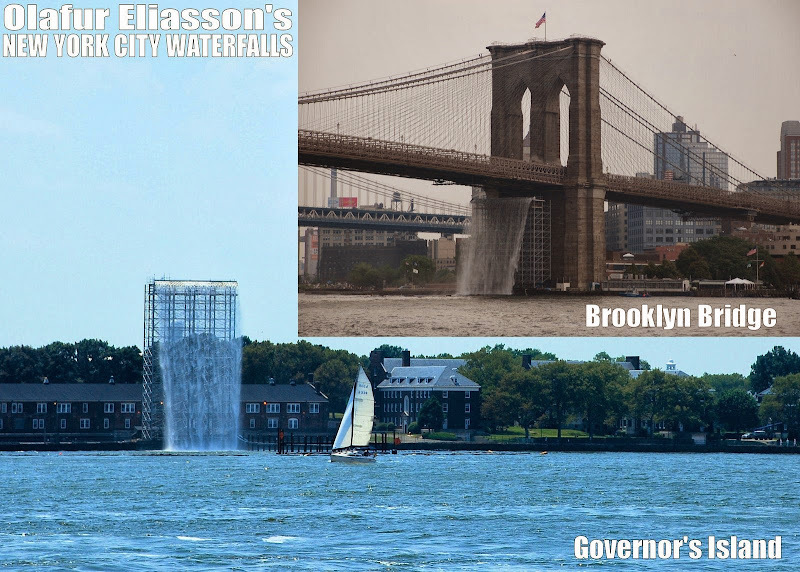 The free ferry ride to the island affords a different perspective of New York's latest temporary attraction: the art installation The New York City Waterfalls by Olafur Eliasson, a series of man-made falls spread out in 4 locations with one right at Governor's Island itself. I know this isn't a Niagara or an Iguassu but this project is still massive and even costly. Activities on the island are varied. To start, no cars are allowed so you either walk around or bring your own bike or in my case, rent one with Bike And Roll. This Saturday, paddlers and boaters congregated for City Of Water Day - there were free kayaking lessons as well as trips within the coast of the island. On the western promenade, fishing aficionados and the curious ones joined for a free catch and release sessions - even equipment and bait were provided for! As part of the Folks On The Island concert series in July, Eric Bibb sang with his guitar promoting his "new world blues" kind of music. More activities and events are upcoming and I'm excited that this little piece of island is getting the attention it deserves since it opened to the public in 2003.